Well, we are at the end of the old blocks. 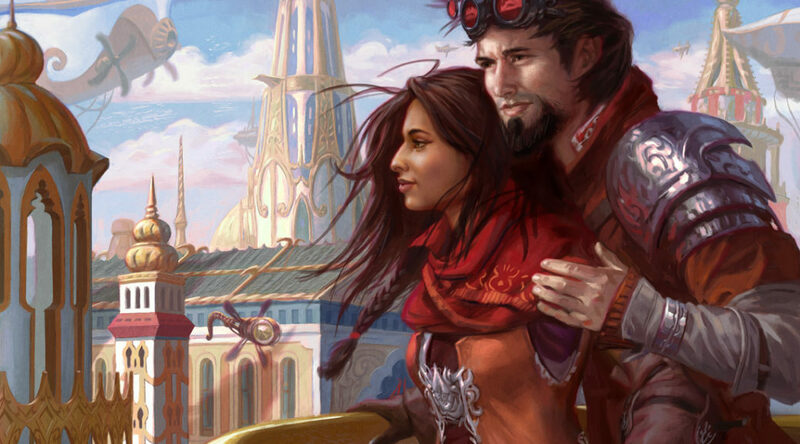 Dragons of Tarkir and Magic Origins are rotating out in two weeks, the brewing with Kaladesh has all our attention, and there’s a prerelease to go play in! I love this time of year. I especially love the rotation time, because this is when I want to invest the most and get the most for my money. I’m looking for cards seeing fringe play in Modern and Legacy, I want to have some cool foils, and I want to check for underpriced but powerful Commander cards. I am keenly aware that the Masterpiece series means even more reprints, on top of extra sets, theme decks, and all of the ways that Wizards has to add to the supply of a card. It’s possible the old ways are no good, but they can’t reprint it all! Diversify with me. For the most part, I expect these to grow slowly over time, with the potential to spike hard. Jace, Vryn’s Prodigy – $24 regular/$65 foil/$190 SDCC promo – This sees a significant amount of play in Modern and Legacy, and I know lots of people are noticing how low this price has gone. It’s true that there is a black SDCC promo version, and that puts a ceiling on how high the foils can go, but picking up these in nonfoil is perfectly fine, as it’s due to do something amazing again. It will not take much to spike in either Eternal format. Alhammarret’s Archive – $4/$11 – One of the best casual cards around, and a leading candidate for a reprint. In Commander, this is busted right in half, and will rightfully get you targeted by the rest of the table. Starfield of Nyx – $2.50/$7 – So I would love this card, and I would marry it, and I would build a house out of these cards, except…there’s going to be a Masterpiece series of enchantments and it seems like this is easy-peasy one of the best enchantment enablers. It’s Opalescence plus reanimation all in one card. Sphinx’s Tutelage – $1.50/$5 – Mill cards always have life. This has seen the smallest sprinkle of Standard play, but this is a pick for the unseen masses. It’s easy to reprint, but really, it’s just an awesome card. It takes something we all love doing and turns it into a weapon. I’ve seen this card just chainsaw through Commander players, a sign that not enough of us play Gaea’s Blessing or other such cards. Collected Company -$11/$33 – If you think this is due to get banned, stay away. I think that it will not get banned in Modern, and for a card that’s an automatic four-of in some incredibly powerful strategies, a rare from a big set that was only opened in a small set…it’s very tempting. There are Clash Pack copies that are keeping the supply greater, but this is a format-warping card that must be respected. Narset Transcendent – $7/$21 – She’s not down to the $5 threshold that I usually look for in underpriced planeswalkers, but her price is surprisingly high for a card seeing so little organized play. She can’t protect herself, but that isn’t quite as relevant for casual formats. I like having this card, and the trajectory is due to start climbing upward. Sarkhan Unbroken – $4/$13 – I think this is cheaper than Narset because he’s three colors. He’s more powerful on his own, but he can’t doublecast spells the way Narset can, and his ultimate requires some sweet dragons to tutor up. That Dragon emphasis is what intrigues me, though, especially at a measly $4. Kolaghan’s Command – $6/$21 – This is a pretty amazing card in Modern and Legacy, and the nonfoil has already spiked to $20 once in its career. I’m in, and I will feel vindicated when it breaks $10. When it’s over $15 again, I’ll take myself out to dinner. Sidisi, Undead Vizier – $2.50/$7.50 – I like having copies of this around, not because Jund decks in Modern are about to abuse it, but because it’s a really amazing Zombie. Angels, Dragons, Elves, Goblins, and Zombies are likely the top 5 tribes, and the appeal cannot be overstated. Foil Impact Tremors – $2 – It’s only half of Purphoros, God of the Forge, but if you want this type of effect in your Commander deck, you want redundant cards. I wasn’t expecting this foil to be this high a multiplier, but that’s a sign of the casual appeal. When I notice that, I want to have some of these in stock. Jave does not “see a significant amount of play in Modern and Legacy”. This is a misconception (even an untruth) that I have seen you and other writers on this site peddle and called you out on before. The numbers don’t support it, the card is extremely fringe in Legacy and barely any better in Modern. Command – has 20 recorded finishes in September. Command – has 3 recorded finishes in September. Is it your job to call writers out…. especially when you can’t spell the name of the card correctly? People in the know, already know, and people who aren’t in the know… aren’t going to rush to drop $20 on a card. His point was that that it’s price is as low as its been and it would be worth consideration as with all the cards on the list. If his point is that it’s price is as low as it’s been and it should be worth consideration then he should leave it at that. Charles is 100% correct about the amount of play that JVP sees in Modern and Legacy. Ha..salty jace haters. He’s a two-drop enabler that turns into a snapcaster planeswalker. He has a place, even if you haven’t figured it out yet.